Book Excerpts from: Fornari, F. The Psychoanalysis of War. Bloomington, IN: Indiana University Press, 1975. 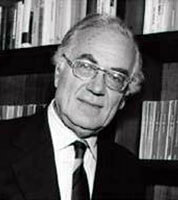 Franco Fornari was an Italian surgeon, psychiatrist and psychoanalyst, who served as director of the Psychology Institute of the Department of Literature and Philosophy at the State University of Milan. His interests included group dynamics and social conflict, leading him to research war. In The Psychoanalysis of War, Fornari located the anxieties and psychotic fantasies that govern the behavior of individuals in groups. War, he said, arises from the external projection of an internal danger in the face of an alleged external persecutory entity, which compels individuals and societies to destroy in order to survive. XVI—If it were not for war, society would be apt to leave men defenseless before the emergence of the Terrifier as a purely internal foe. 7—(citing Bouthoul)—War may appear to be a voluntary destruction of previously accumulated reserves of human capital, an act performed with the implicit intention to sacrifice a certain number of lives. Proceeding from the empirical statement that every war causes the deaths of young men, Bouthoul arrives at the conception of war as deferred infanticide, a voluntary destructive institution, the aim of which is the elimination of young men. War thus appears to be a recurrent social function, characterized by the accumulation of human capital, a part of which, at a given moment, is brutally ejected. 19—Potlatch, then, is an act of ostentatious destruction the aim of which is to intimidate the rival and, ultimately, to give prestige to the donor or destroyer. 24—War is a spectacular establishment of a general human situation whereby death assumes absolute value: the ideas for which we die have a right to truth, because death becomes a demonstrative process. This situation opens the chapter of the peculiar psychological problem of death as a criterion of truth, to which we shall have to return in order to clarify the mysterious epistemology of war, based on the postulate that what we die for is true, which is, however, contradicted by another postulate, namely, that what is victorious is true, whereby the victory is equated with what is true and right, and the vanquished with what is false and wrong. 25—The particular virtue of the soldier seems to lie in his absolute dependence on the leaders. 26—(Bouthoul)—War involves the concrete realization on the part of the leaders of their wish to sacrifice their best citizens for the good of the nation. 26-7—The spirit of sacrifice is intimately related to the need for an ideology & possibly an ideology in the name of which one may sacrifice himself…In war the state becomes an organization that distributes sacrifice. Laymen who dismiss religious martyrdom with a smile are often deeply moved by political martyrdom. In the idealization of sacrifice Bouthoul recognizes a psychological factor of war. The faith in a just idea legitimates every sacrifice. The spirit of sacrifice is usually mobilized in the young. It is the young who are easily moved by ideologies and who readily accept—much more so than adults—the prospect of dying for an idea. 32—War as a sacrificial duty, though performing essentially destructive functions, has for men the significance of a destruction put into the service of the preservation of what they love: Fanatic behavior, the idealization of the leader, the need to sacrifice oneself in the name of an ideal, the giving and receiving of martyrdom, and the soldier’s being both the sacrificer & the victim in the sacrificial rite…What lies at the basis of this peculiar tendency of man to create certain values in the name of which he feels he must sacrifice himself? 34—What is this absolute and unconditional something that would somehow justify the establishment of a masochistic-sacrificial position? (The masochistic-sacrificial position) would in turn become a sort of supervalue because it would be put into the service of that absolute and unconditional something. 133—Ever since the apologue of Menenius Agrippa, the formation of a group has been described as the formation of a unity consisting of multiple individuals, through the metaphor of the members uniting to form the body. 134—The fact that initiation rites, in addition to being associated with castration, are also directly connected with the interruption of the relationship with the mother, and with the vicissitudes of death and resurrection, induces us to advance the hypothesis that membership in the group implies a mutilation of a part of the self. Roheim’s thesis that the social relation takes the place of the relation to the mother (in the sense that man tends to maintain as a fiction that which he cannot preserve as a reality) allows us to say that the individual’s experience in the group has a significance that tends to be illusory. Since it is aimed at denying her loss, the illusory recovery of the lost mother in the group is related to what we have called manic elaboration of mourning. The participation of individuals in a collective experience would seem to rest on a relation to a fantasy presence which constitutes the invisible presence, within the group, of the maternal imago as the illusory body of the group which unites the individuals as its real members. While in interindividual relations the body of the other forms a concrete basis for our mental representation of him, in the group, the individuals relate to a “mystical body” as a mental presence that is not traceable to the concrete individuals who physically form the group. A fictive body, then, but one that is experienced, in the vicissitudes of belonging to or being excluded from it, through the mobilization of the feelings and anxieties which were originally experienced by the individual in his concrete relation to his mother. In other words the fact that the group cannot be traced to the individuals forming would appear to derive from specific fantasy presences. In the Church, examined by Freud as a typical organized group, the fiction of the body as mystical body becomes particularly significant, and the initiation rites of the Church seem to be comprehensible in terms of ceremonies that translate into ritual form the processes of introjective identification. 141—What seems to constitute the specific aspect of the social experience, therefore, is the use, on the part of the subject, of other subjects as co-present in the collective experience, for purposes of defense against unconscious anxieties. Accordingly, the criterion of validity of social experiences seems to reside in the fact that they are verified by the process of coparticipation rather than by reality testing. It follows that the social phenomenon is often nearly devoid of rational validity, but this does not mean that it has no validity. The social phenomenon disregards the reality problem associated with the verification of the hypotheses of the internal world in the external reality. It seems typical of the social phenomenon to place itself in a mode of experience whose value and validity arise from its being shared by the individuals belonging to a group, i.e., whose criterion of truth is sharing. If, for example, we face death as a fact of nature; if, that is, we verify the reality of a dead body, that body as a part of the physical world offers us evidences of its existence that we can compare with the evidences gathered by other individuals who also verify that dead body as a part of the external world. In this case, too (as in the social experience), our relation to others participates in our establishment of the objective physical reality, understood as the mere ascertaining of whether someone is dead or alive. 142—But the process of verification here makes use of evidences found in the external world as data which we perceive as realities separate from us and which we verify to be such. In other words, it is a matter of one truth for all men where the perceptual evidences of the external world are concerned, evidences that are neutral and separate from the men experiencing them. As in the dream, in mourning as a social experience the problem of whether or not it corresponds to an objective reality does not arise. The dreamer, when dreaming, is usually not concerned about ascertaining whether or not his dream corresponds to reality. It is only when we are awake that the dream appears as an illusory reality. In the same manner it is only when the individual removes himself from the concrete group experience that he can recognize its differential features in comparison with the individual experiences subject to reality testing in an objective sense. What we call objective reality seems to take shape in an experience of single subjects who place themselves in relation to something separate from themselves as a third element ( the world) which must be verified as such, through what is commonly called reality testing. 143—However, the formation of objects ultimately regards the subject’s private relation to the world. What we call the social experience, on the other hand, acquires its character of truth in the very fact of being shared by the subjects belonging to a group, without the subjects’ being able to refer to a third neutral element presenting itself as external reality. That is, the external reality, though it may be shared with other subjects, can be validated in the subjects’ private relation to the world. It is then established in a relation to the world of reality as separate and independent from the relations between the subjects. In the same manner as placing itself beyond reality testing is a part of the dream experience, it seems to be a part of the social experience to place itself in a psychic dimension which is beyond reality testing. But on the other hand, the fact that in the social experience we are not required to carry out reality testing, but only to express our internal human needs, does not mean that the experience is valueless. On the contrary’, the social experience seems to be of fundamental importance to man, so much so we may safely assume that to deprive man of it would expose him to the same primary frustrations aroused by the deprivation of dreams. In contrast with the dream experience, of course, the social experience takes place in waking life. In order to explain the paradox whereby men in waking life undergo an experience which seems to have certain functions analogous to those of the dream activity, it is necessary to presuppose, as Freud did, a particular alteration of the ego, or more accurately, of the functions of the ego delegated to reality testing. This modification of the individual in the social experience seems to consist in the fact that reality testing (as a system, separate from, and independent of, the interhuman experience, of validating the world) is replaced by a particularly vigorous validation system governed exclusively by the interhuman relation. 144—What is shared by a group of men contains an autonomous source of validity which is independent of reality testing in the world of reality. Accordingly, what is called “Group Mind” would appear to function as the validating agency of a certain mode of being human. This mode of being human implies an alteration of the individual ego in the sense that the functions delegated to reality testing are put, as it were, in parentheses (instead of being inhibited, as during sleep). Whereas during sleep the inhibition of the reality functions occurs in a subject who has interrupted all relations with other subjects, the suspension of reality testing which takes place in the social experience occurs in individuals who are awake and whose mutual relations, aimed at sharing the same experience, become the very source of its validity, with no need for other verification. This seems to be the reason why the social experience, though containing obviously illusory elements, gives a strong and stable impression of reality in comparison with dreams. Not only this, but while the dreamer, on awakening, separates himself from the dream and finds before him a real world where he can concretely satisfy his desires, an individual, wishing to separate himself from the social experience and, so to speak, awake from the strongly cathected social experience, would find himself assailed by an anxiety of exclusion that would have all the characteristics of the child’s original fear of separation from the mother. Accordingly, we might juxtapose the social experience with the transitional experience (described by Winnicott), in which reality is never examined or questioned. According to Winnicott, the transitional experience is a continuation of the relation to the mother and serves to control the child’s feelings of loss and mourning and therefore to avoid depressive anxiety. To deprive man of the social experience would thus have the same anxiety-arousing significance as to deprive the child of the transitional object. 145—The reference to the transitional experience as a primary infantile experience, with its intimate connection with the fantasy implications of the child’s psychic life in the primitive relation to the mother, thus brings us to a reconsideration of the relation between the original dual unity and the pluralistic unity of the group experience: a relation enunciated by Freud himself and investigated, in the frame of ethnological research on primitive peoples, by Geza Roheim. The fact—which we have emphasized—that the initiation rites constitute the definitive severance of the relationship with the mother, and at the same time the admission to the society of adult males, supports Roheim’s opinion that group formation is a mystical attempt to restore the dual unity of mother and child, in a peculiar coincidence of multiplicity with unity, brought about by the group. 146—The group, then, would appear to arise acting as a sort of symbiotico-narcissistic bond whereby that which is meaningful acquires its meaning in being shared with the other, or others, in a narcissistic pluralism, rather than acquiring it in a relation to something different and separate from the self. In the group experience, the separate from the self tends to be felt as incompatible with the group system of validation and seems to be elaborated in the following sequence: separate therefore different, therefore extraneous, therefore alien, and therefore enemy. Through this sequence, the different from the self which in the formation of the ego is inseparable from the awareness of the self becomes in group formation the same thing as a situation of abandonment experienced as an alien persecutory entity. The fact that the social experience is controlled by a plural unity through solidarity of the symbiotico-narcissistic type causes the social experience to coincide with itself as a criterion of its own validity, in the sense that it not only does not apply to itself criteria of validation other than itself, but in fact cannot tolerate their application. This kind of autistic situation is connected with the problem of the dimension which—for lack of a better word—may be called psychotic dimensions of group life, and which would appear to find its most clamorous realization in the war phenomenon. As the awakening destroys the dream, so the impossibility of the social reality becoming such except by coinciding with itself causes anything that presents itself as “other” to be perceived as a threat to the symbiotico-narcissistic unity. 147—In fact, to the extent that a symbiotico-narcissistic logical system can avail itself of reality only because it coincides with itself as a criterion of its own validity, that is, only because it contains a sort of autistic truth, any situation that presents itself as “other than the self” is perceived as a threat to, or destruction of, the reality of the self. Thus the killing of the “other than the self” coincides with the affirmation of the reality of the self. Two groups starting a war, even today when war is no longer thought of as the judgment of God, entrust the process of killing with the function of deciding which of the two groups is “right,” precisely as if the process of rational verification were replaced by killing as a criterion of truth, in a massive sadistic transformation of the validation processes. 163—The enemy is experienced as the force that destroys our love object. This is why men see war as a duty and why it is considered one of the basic human values. Those who make war are not driven by a hate need, but by a love need. Moreover, they feel they must accept the need for self-sacrifice so that their love objects might live. The fact that men see war as a duty toward their love object has been, I think, neglected even in Kleinian literature. The problem (if there is one) is to disclose the ambiguous character of war as an experience of love, for it is based on the alienation of the bad parts of the self which are projected onto the enemy, who is consequently experienced as the destroyer of one’s love object. The paradox on the basis of which the instinct of self-preservation becomes inoperative in war—so that men no longer seem to care about death but, on the contrary, accept it as an essential part of the game—seems to find its explanation in the fact that in war the instinct of self-preservation does not function on the individual level but rather on the level of the collective love object. Thus the essential function of war is the preservation of the common love object, and the reason why men see war not as a collective armed aggression but as a duty to risk death and to kill, to become simultaneously hunters and prey, sacrificers and victims, is that what is at stake in war is not so much the safety of the individual as the safety of the collective love object. 245—I do not think that psychoanalysis can describe war in all of its reality; but it can, and I think must describe the ways in which war is unconsciously experienced by individuals. In a general formulation, then, it could be said that psychoanalysis may study the social facts as screen structures, upon which the individuals continuously carry out transference processes. It seems to me, therefore, that what Durkheim said of the social reality conceived ”as a thing” may be understood and integrated by psychoanalysis in the sense that the social phenomenon constitutes something which has a reality of its own but upon which the individuals continuously operate transference processes. The thesis of the individual responsibility for war, then, may be based on the reality of the transferences in which the individual modes of collective experience express themselves. 251—It is evident, at any rate, that psychoanalysis cannot replace history—psychoanalysis is itself a part of history. But at the moment when history forces national communities to coexist, psychoanalysis, by showing the unconscious motivations for war, can make a contribution to the study of the general human modes of experience which make coexistence possible. After all, the presence and significance of psychoanalysis at a given moment in the history of Western culture cannot be considered an accident, even though it could become necessary for some psychoanalysts to turn into sociologists in order to bring psychoanalysis in contact with new methodologies which would render it operatively more fruitful. 252—Transporting this specifically and peculiarly psychoanalytic discovery to the social level, it may be affirmed that the psychoanalyst who wishes to use psychoanalysis to “cure” war must accept the responsibility for the mobilization of that very ill which he wishes to cure. If the psychoanalyst proposes certain tentative cures for the war illness, understood essentially as the manifest result of Unconscious psychotic maneuvers, he must be fully aware that he is running the risk of being considered a sorcerer who saves and/or destroys. We know, moreover, that this has been the fate of many innovators in human history; not only of the mystico-religious ones, but also of scientific innovators from Galileo to Freud. I am not, however, calling for martyrdom, but merely pointing out that certain risks are an unavoidable part of our profession. This is simply because we form a neutral screen for the transferences of the persons whom we analyze and to whom we explain, from time to time, precisely that they make us become saviors or destroyers, in order to hand back to them their potential for love or hate. If the psychoanalytic tool were to operate in the social field, we should have to expect complications which, however, would not be totally unforeseeable in a psychoanalytic perspective. The legitimate expectation of a transference war, which would probably occur in the event one wished to “cure” war, could then give to a discovery of this sort a specific character which would hardly be accessible to a non-analytical approach. 253— Given the current historical situation in which the war crisis has also brought with it the crisis of the ideology-forming processes (or rather, of the dogmatization of political myths), psychoanalytic research could acquire a particular function in revealing the nature of the schizo-paranoid processes that lie beneath what can be called the groups’ general tendency to form in a Manichean way. I know full well that to do this means to deprive men of their illusions and I, for one, am not inclined to dispel illusions because I believe that they perform an essential role in their dialectic with reality. But now it is evident that, with the advent of the nuclear era, war itself, this “grand illusion,” has entered a state of crisis with regard to its function of a dispenser of illusions. One realizes that it might be unpopular for psychoanalysis to claim the right to qualify as psychotic the process of idealization which controls the formation of ideologies in groups. In the face of this attitude, the same rebellion is to be expected which would be encountered on the clinical level if one should wish to unmask a delusional activity, qualifying it as such to the subject who is experiencing it. Psychoanalysis, which was in the position to discover the meanings and the profound realities which lie behind the dereal appearances of a delusion, can be all the more in a position to discover, and in a certain sense to validate, on a different level, the meanings and the intimate human realities which lie behind the ideologies. 254—So if the process of ideology-formation leads to a conservative process, psychoanalysis can show that this process arises through an illusory hope of preserving one’s love object, an illusory hope which, as we have seen, finds its origin in a manic elaboration of mourning or loss in general. In other words, the rise of an ideology would appear to be connected with the fundamental dynamics and the deep-seated processes which condition the human ego to found itself on a love object or rather on a sort of incapacity of man to accept the loss of the formative love object (the mother). To reiterate Roheim’s thesis, an ideology would appear to arise from a sort of intimate human need to try to regain in an illusory form what can no longer be kept in a concrete form; hence the essential relation between ideology and mourning.